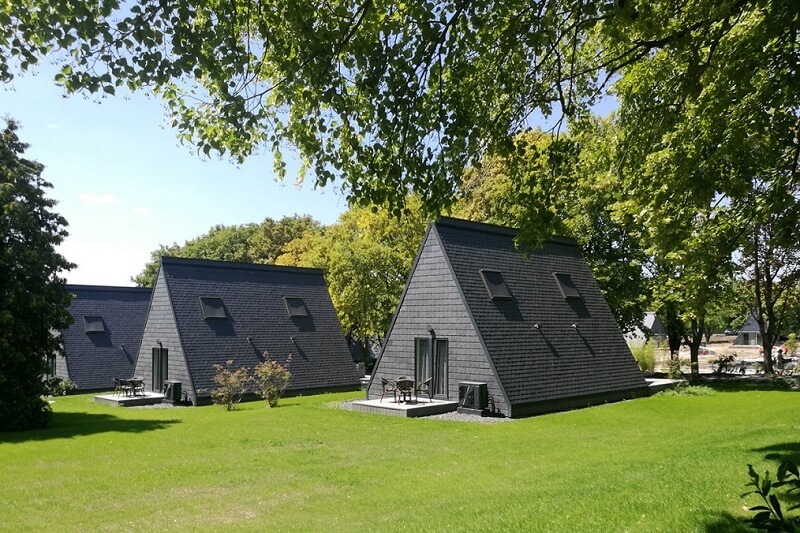 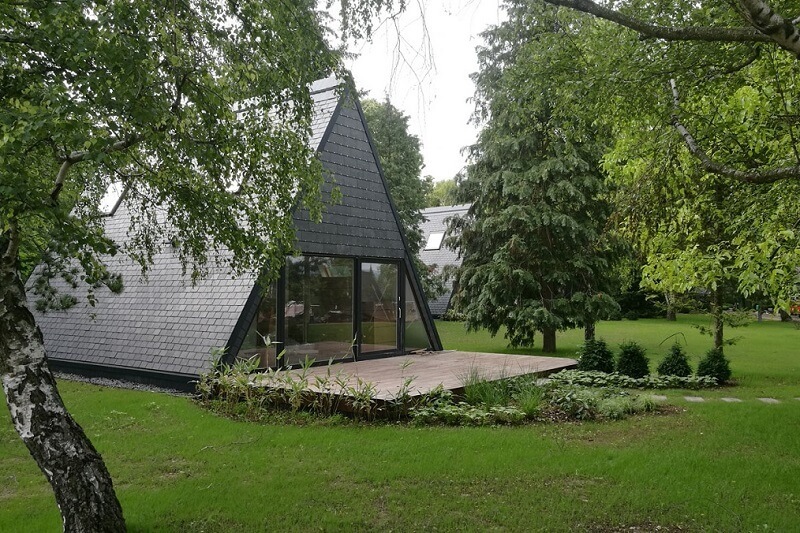 These small triangular houses cladded with CUPA 12 natural roofing slate are part of the Zen Garden Resort located in Zánka (Hungary). 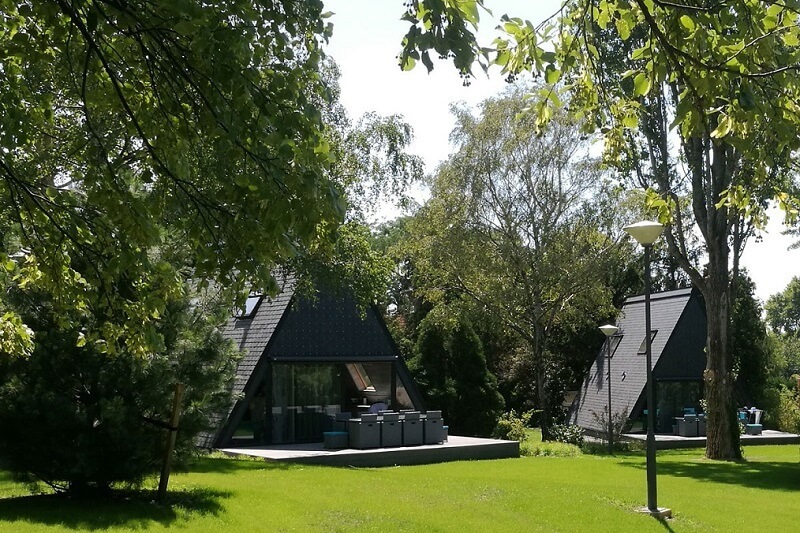 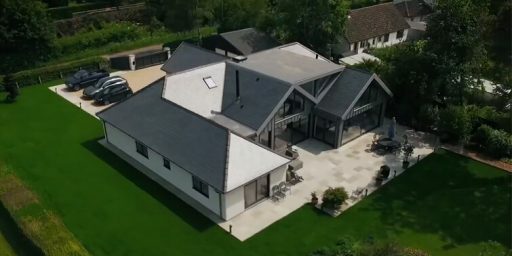 A roofing and cladding project that we’ve done in collaboration with our official distributor in Hungary, Tető Horn Kft. 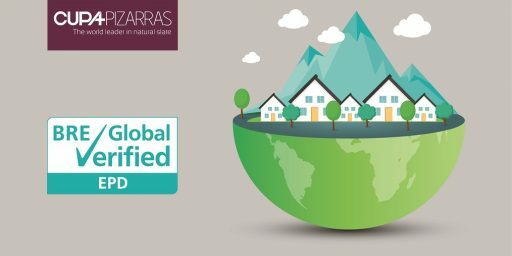 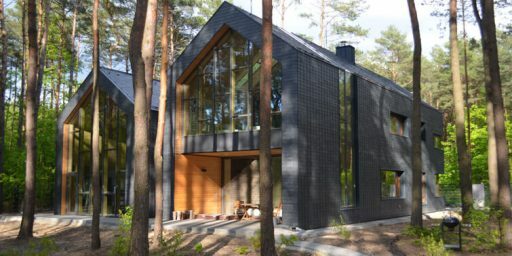 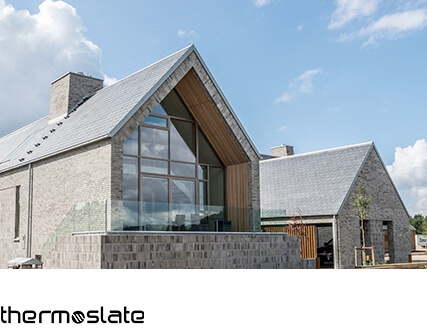 Just like our slates, every architectural project designed with this natural material is unique. 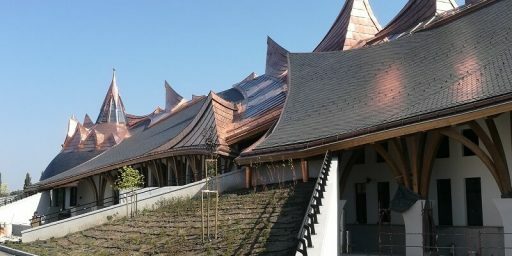 For installing slate on the roof and facades of these apartments, two different systems were used; hooks for the facade and screws for the roof. 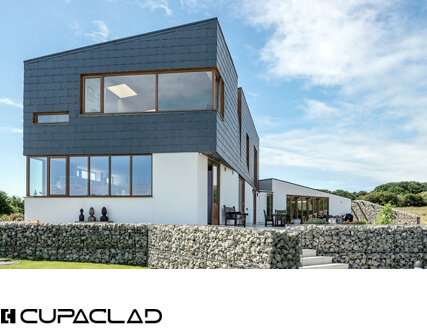 This way, the roof looks very uniform in contrast with the subtle metallic details of the facade, fixed with stainless steel clips. 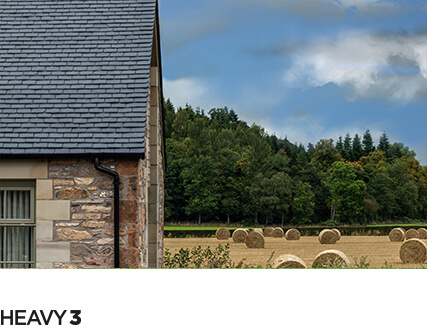 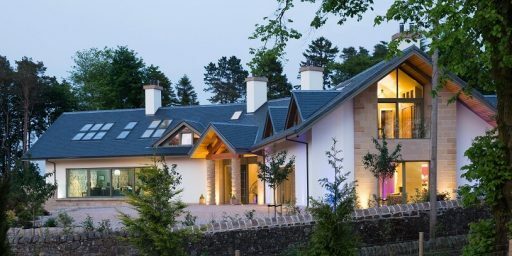 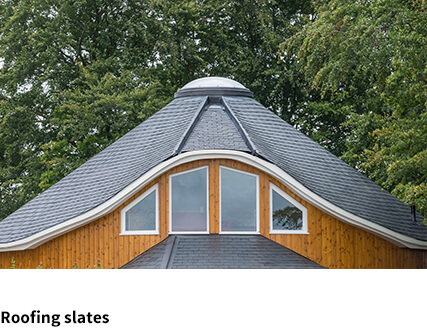 Would you like to use our natural slate in your next roofing or cladding project? 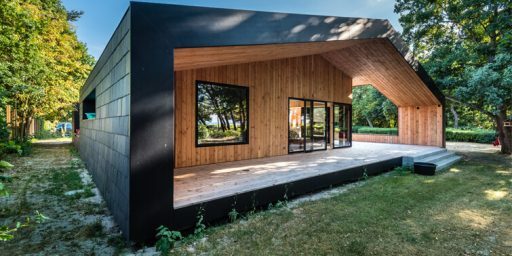 Contact us and we’ll help you choose the best solution for your project.